You should also make sure to get a copy of your latest x-rays. If you do not have any, that is okay because most chiropractors will either perform them on-site or refer you to a radiology clinic off-site. Depending on the chiropractor’s approach, a typical first visit includes an initial consultation, examination and x-rays. If the chiropractor has time, he or she may go over the results of the aforementioned the same day. However, many chiropractors prefer to study and review your case before determining if they can or cannot help you. So, even though you’re in pain, be patient for the chiropractor’s full recommendations which may not be available until the following day. With that said, most chiropractors won’t leave you hanging. They’re compassionate to your pain. In other words, they’ll administer some form of pain relief the same day as your initial visit until a complete diagnosis is available. Additionally, your local chiropractor may make pain relief recommendations that you can use back home to help reduce your neck pain until your next visit. These typically include the proper use of ice as well as the administration of a topical analgesic like BioFreeze®. During your subsequent visit, a detailed treatment plan will be presented to you if your chiropractor believes he or she can help correct the problem. If so, be consistent with the treatment plan your diagnosis warrants so that your neck pain is not only relieved but potentially corrected. 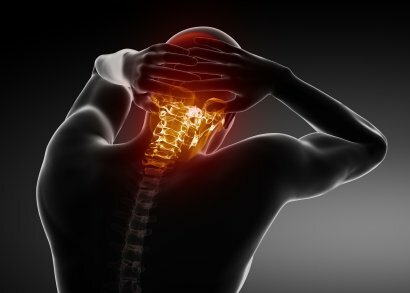 Remember, your local chiropractor is not only concerned about relieving your neck pain but even more concerned about finding and fixing the cause of the problem. Misalignments of the spine (aka vertebral subluxations) don’t just happen over night (unless there is some form of blunt force that caused it). So correcting these subluxations through multiple chiropractic adjustments may take time, even when the pain disappears.